Poughkeepsie, NY: The Enterprise Publishing Co, 1914. 1st. Original Wraps. Collectible; Very Good. 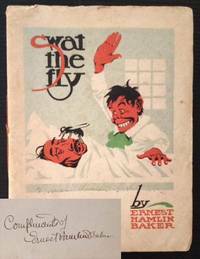 The 1914 1st edition of this uncommon public health pamphlet, issued in response to the fears over typhoid-- and specifically one of its prime carriers, the typhoid fly. Wonderfully illustrated thruout by Ernest Hamlin Baker, an important early to mid 20th century American illustrator who did 11 Fortune Magazine covers (1929-1941) and illustrated over 300 Time Magazine covers (1939-1956). Well-preserved and VG in its pictorial wrappers, with very light soiling to the rear panel and light, neat former owner name at the front panel. Octavo, 27 pgs. SIGNED BY ERNEST HAMLIN BAKER on the front pastedown. Signed by Author. Paris: Editions Nilsson. Decorative Cloth. Collectible; Very Good. 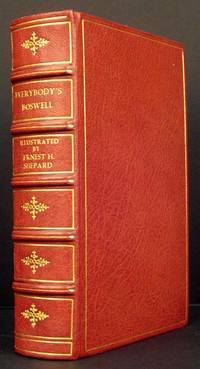 1st edition in its dark cloth, with somewhat-chipped, pasted-on illustration to front panel. Circa 1920. Solid and VG, with half a dozen or so very attractive tipped-in aquatints by Jean Dratz. Octavo, 250 pgs.